It's always a good morning when you wake up at Walt Disney World and even better when you start the day with friends at Chef Mickeys at the Contemporary Resort before going to rope drop at the Magic Kingdom! Actually we just missed rope drop. 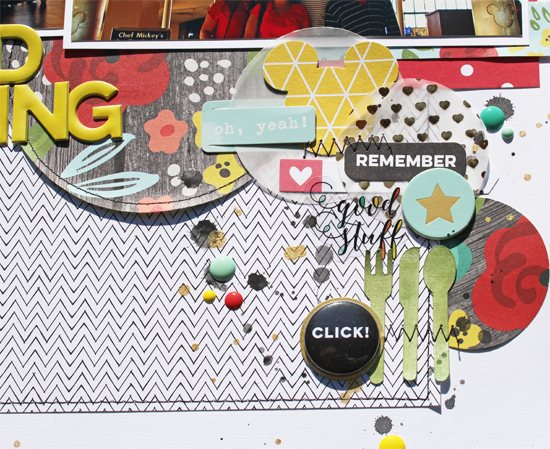 For my layout I used Sketch #167 from Sketch Savvy and the April Cherry Pie kit and Add on kit from Scraptastic Club.